Hulu's Locke and Key has founded a star who is well-prepared for horror. 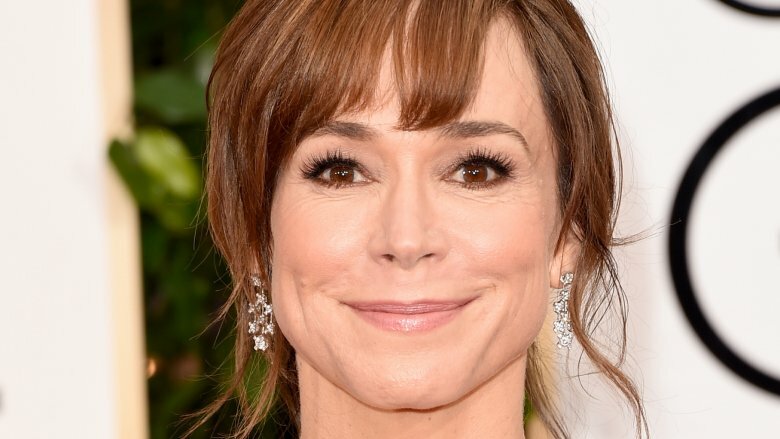 According to The Hollywood Reporter, The Conjuring 2's Frances O'Connor has signed on to lead the series, an adaptation of the Joe Hill IDW comic of the same name. Locke and Key follows the Locke family after the patriarch, Rendell, is brutally murdered. O'Connor will play the mother, Nina, who takes her three children to the Keyhouse, a mysterious mansion in New England. The house is filled with magical keys that allow the children to open doors to other dimensions. However, a terrifying demon has other plans for the portals, and won't stop until it gets the keys back. Lost's Carlton Cuse is set to serve as showrunner for the series, while the comics' writer, Joe Hill, will pen the pilot. IT's Andy Muschietti is set to direct the pilot, taking over for Doctor Strange's Scott Derrickson, who had to leave due to scheduling issues. Hill, Cuse, and Muschietti are all set to executive produce alongside David Ozer. "We are thrilled to have the multidimensional talents of France O'Connor to breathe color and life into this pivotal character in our series, and along with a stellar production team in place, we have no doubt that we will be able to bring Joe Hill's creative vision to the small screen," Ozer said. This is the second notable attempt at adapting Locke and Key for television. In 2010, Fringe's Alex Kurtzman and Roberto Orci pushed forward a pilot starring Miranda Otto as Nina, with Sarah Bolger, Ksenia Solo, Nick Stahl, and Jesse McCartney filling out the cast. Even though the pilot was very well-received when it screened at Comic-Con International, and it had a big name attached in the form of executive producer Steven Spielberg, no network was willing to pick the potentially huge show up. O'Connor, who is a two-time Golden Globe nominee for The Missing and Madame Bovary, is a solid addition to start out the cast of what will hopefully be a successful adaptation of the beloved comic. The show does not have a premiere date yet, so in the meantime, occupy yourself by seeing all of the shows that will blow you away this year.